PAT McGRATH LABS MatteTrance Everything Kit Swatches | Top Beauty Blog in the Philippines covering Makeup Reviews, Swatches, Skincare and More! Hello, friends! Here are the swatches of all the lipsticks from the new PAT McGRATH LABS MatteTrance Everything Kit – a nine-piece set of richly pigmented, MatteTrance Lipsticks that glide on a lightweight veil of opaque color for a modern, matte finish. Get nine, entrancing lip colors that satisfy with supreme hydration and opulent matte opacity. Flaunt your fixations with this radiant, richly pigmented formulation that saturates lips in a lightweight veil of rich color. 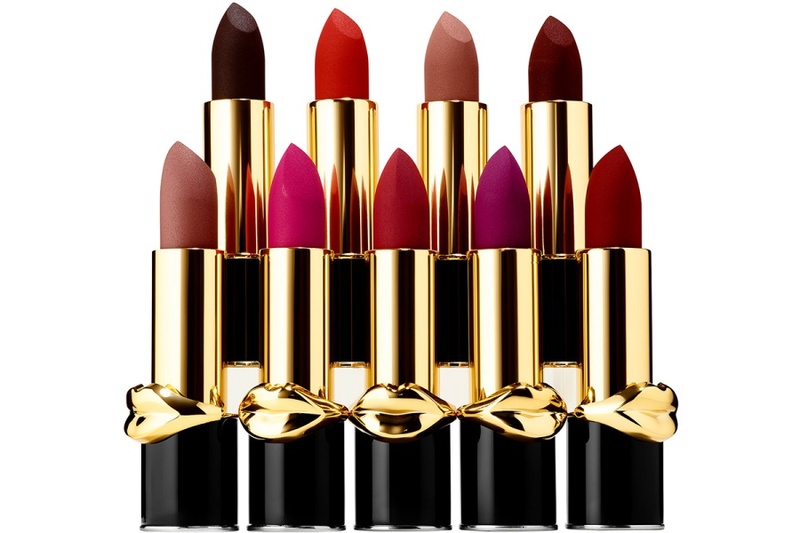 These lipsticks lay down high impact color with a strong finish. Sensually creamy, their infused with powerful pigments that evoke screen siren glamour with every application. Each shade is presented like a jewel in a black-lacquered couture case fashioned with a sensually surrealist golden lip that’s destined to be a cult-status collectable. MatteTrance Lipsticks are formulated with optical diffusers that blur the appearance of imperfections, while a blend of polymers provide flexibility and adherence. The advanced formulation of spherical particles ensures a creamy soft texture for the smoothest film of color. It’s enmeshed in a powder film combined with saturated pigment for lightweight opaque coverage.